Stewart has practised in the area of taxation law for 25 years. He commenced practice in the taxation division of KPMG in 1990. 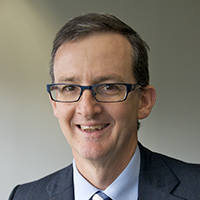 In 1993 he joined Corrs Chambers Westgarth where he worked in the firm's taxation group. He became a partner of Corrs in 1997 and Taxation Practice Group Leader in 2003. In 2009, Stewart became the global head of tax for the Foster's Group. He returned to Corrs as a partner in the taxation group at the end of 2010. Stewart joined Johnson Winter & Slattery as a partner in the firm's taxation group in October 2014. Stewart practises mainly in the area of tax disputes, assisting clients to address Australian Taxation Office enquiries and manage and resolve taxation audits. Stewart has also advised on the taxation aspects of various different types of mergers & acquisitions transactions including demergers, takeovers, business sales and purchases, share buy-backs and joint ventures.